Wild South is proud to announce our new partnership with Decatur’s historic Princess Theatre Center for the Performing Arts! Beginning on April 10, Wild South’s Movie Nights will take place on the second Tuesday of each month as part of the Princess Theatre’s Community With A Conscience series. The films and documentaries that we screen are relevant to the work and mission of Wild South. They are open to the public and there is no charge to attend. Wild South and Princess Theatre staff will lead a group discussion after each film. Please mark your calendar and plan to join us! Green Fire is a fascinating and inspirational documentary on the life and work of Aldo Leopold, an American author, philosopher, scientist, ecologist, forester, conservationist, and environmentalist. He was a professor at the University of Wisconsin and is best known for his 1949 book, A Sand County Almanac. Leopold was influential in the development of modern environmental ethics and in the movement for wilderness conservation. His eco-centric or holistic ethics regarding land ethics had a profound impact on the environmental movement. Leopold emphasized biodiversity and ecology and was a founder of the science of wildlife management. 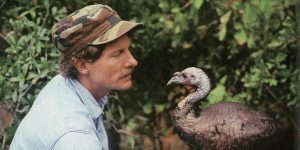 Naturalist Jim Hutto’s remarkable experience of being imprinted on by a group of wild turkey hatchlings, and raising them to adulthood and beyond, in the remote wilderness of northern Florida. “America’s Amazon” paints a visually stunning documentary portrait of the Mobile-Tensaw Delta, an amazing watery world, and one of the continent’s most diverse biological treasures. Through compelling descriptions of this rich river system’s origins, history, and connections to plants, animals and man, we gain a deeper understanding of what is at stake as the population living around the Delta grows. 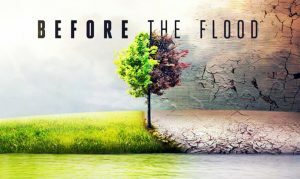 With appearances by world-renowned Harvard Professor and Pulitzer prize winning author, Dr. Edward O. Wilson and other Alabamians, this compelling and informative one hour documentary reveals a hidden world in constant transition. Ultimately, this award-winning film suggests we must act now to protect this great wilderness for future generations, before it is lost forever. documents a rapidly disappearing part of the cultural heritage of Indians and the Native American culture- the mystery trees. trails are called trail trees. However, today, there are few who know the whole story and can share it with others. Recognition and preservation of these mystery trees, which are sacred to the Indians, is very important. 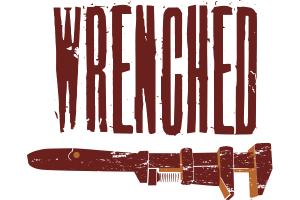 Many have been destroyed by age, urban growth, farming, road construction or in some cases vandals. Now, through interviews with tribal elders and extensive research, the story of the mystery trees is again claiming its rightful place in the history of the first people of this land. We are very pleased that Diane Wells, producer of The Mystery Trees, and Don Wells, president of The Mountain Stewards, will be present to speak at the screening.